This can be achieved by two ways. 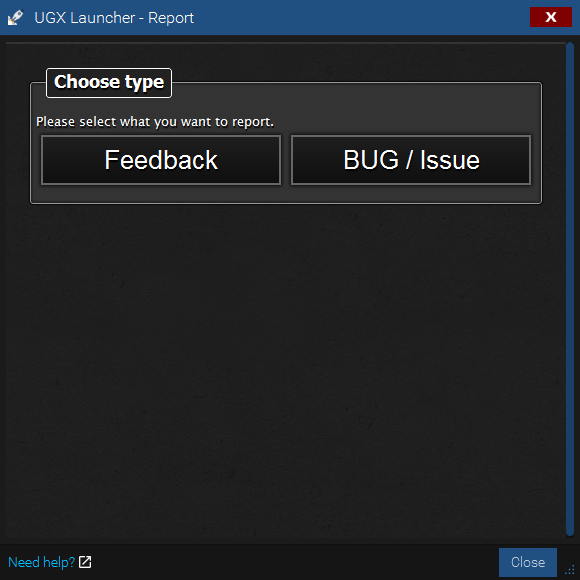 First way would be the key combination: ALT + R to open the report issue / feedback window. Then simply fill in all needed information. Please be as detailed as possible, otherwise it might take longer to reproduce / understand your issue. Please note, we take your privacy seriously and we try to do our best to keep this sensitive data secure and anonymous! Once you sent a report, you should get a confirm dialog which gives you an issue key and a link to the issue back. Visit it frequently ( you should get an e-Mail once the ticket gets updated ) and ( as soon as registration is possible! | currently disabled! ) respond to any questions regards your issue. JIRA is our project management software, which makes our work as a developer easier. hopefully also implement a proper solution for you fast enough. Explaining JIRA in detail would be too much and is for you as a normal forum user not needed. This pages shows all important information to rapidly understand whats going on and when the next version will be released.